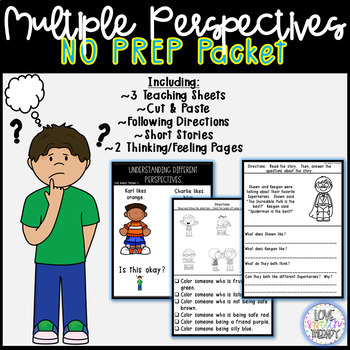 This unit is NO PREP and focuses on multiple perspectives and inferencing skills! 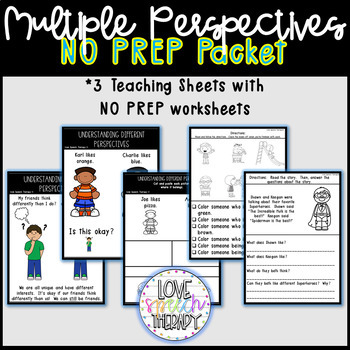 This packet includes 18 NO PREP worksheets working on these skills. This packet starts skills at an easier level and then gets more difficult through the pack to help students understand the skills as you work through the packet. If you like this product, you will also love these!